Radian Barite: Mineral information, data and localities. From radium replacing barium and from the Greek, baryos, "heavy." 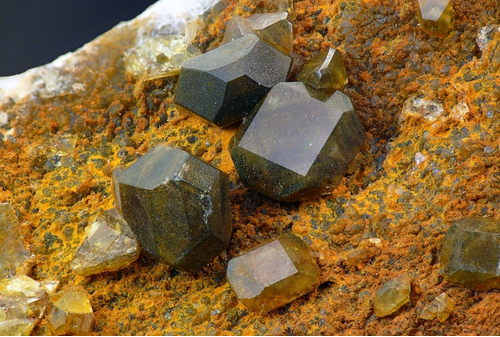 A "variety" of baryte containing trace amounts of radium. 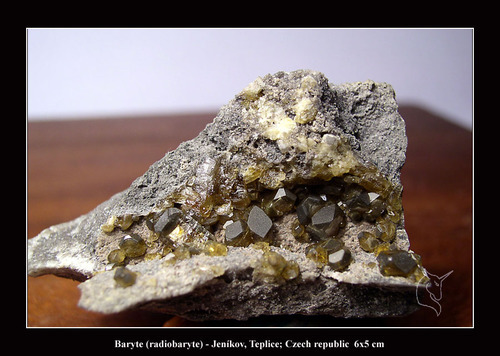 The activity of 226Ra in the material from Ohře Rift area, Czech Republic, may reach 8 Bq/g. Scaly precipitates on oil industry equipment may show the radioactivity as high as 103 Bq/g. 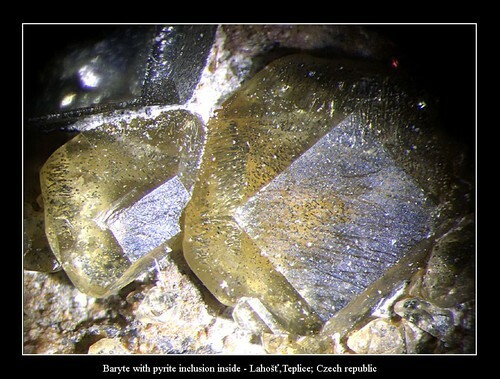 Baryte 1 photo of Radian Barite associated with Baryte on mindat.org. R.A. Zielinski, J.K. Otton and J.R. Budahn (2001): Use of radium isotopes to determine the age and origin of radioactive barite at oil-field production sites, Environ. Poll. 113, 299–309. Ulrych, J. et al. (2007): Cenozoic “radiobarite” occurrences in the Ohře (Eger) Rift, Bohemian Massif: Mineralogical and geochemical revision. Chemie der Erde - Geochemistry, 67, 301-312.